We get calls and emails all the time from customers when they receive these notifications....IGNORE THEM! It is easy to see why many get nervous and why so very many go ahead and fill them out - sending the fees in. DOMAIN NAME EXPIRATION NOTICE would make you stop reading and when you see your URL address and a date, you are automatically going to think it needs to be handled. You're too busy to remember when you last paid for that www.com address you own. Makes perfect sense. When we point out the bottom of the 2nd paragraph where it states in BOLD "This notice is not a bill, it is rather an easy means of payment should you decide to switch your domain name registration to..." they take are no longer worried and have avoided a high cost and company that clearly does not have their best interest in mind. Having us here and available with a simple phone call or email to be able to check things like the IDNS "domain expiration notice" letters is just one of the many things we do here at JASPERwebsites.com to keep your costs down and provide customer service. There are so many programs out there that are taking advantage of our shops and if you have a question on a program you question, simply get in touch and we will let you know what we find out as well as post it here for our other clients to see. We focus on keeping your internet marketing running smoothly so you can focus on running your business! *Team JASPERwebsites! First batch of Mobile First Indexing by Google started March 26, 2018 and the fourth batch of notices went through May 27, 2018. Notifications that websites have been moved over to the mobile-first index which means the Googlebot will now use the "Mobile Version" of your website for indexing and ranking. Goggle's crawling, indexing, and ranking systems had been using your desktop website information for anyone searching by desktop to return search results which can differ for those who have an alternative "mobile version" for mobile visitors. Typically you will notice this when you see View Desktop Version or View Full Website Link on the bottom of your mobile view. You also note that your website address reflect the letter m in front of it when viewing it on a mobile device. What does that mean for those who do not have a responsive website or have an "mobile version" of their website? How does that affect you? 1. Those searching by desktop will still get your desktop website version - those searching mobile will still get your mobile version. 2. The search results, ranking and information however will be based on the information gained from using the information on your MOBILE Website version. 3. There will be ONE index vs. two previously if you had two versions of your website. 4. If you do not have a responsive website that is fully mobile just the desktop do not worry, this is only about how they gather information not how you rank. Ranking is still about content - content - content first then other factors such as how your business looks online as a whole and is your website responsive (i.e. mobile friendly) as well as how fast it loads. CONTENT IS KING.....first rule of winning the top spot on Google! That being said, it has to be relevant to your business and the good news is that now more than ever before it is easier. A few years ago, you had to add keywords and force-feed the information. Now the "robots" can understand natural sentence structure like never before and Google anticipates that by 2020 more than 40% of all search will be verbal! Also, more than 50 Billion mobile devices will be in the hands of your consumers! Get ready! For you that is a WIN-WIN because marketing will be easier than ever before and more cost effective as you can pivot in minutes to attract customers IF YOU ARE READY. Now, there are more factors at play as Google has become quite complex in their rankings as their customers have evolved, however, if you look at how you utilize search it will make more sense to you. SEO will always be shrouded in mystery but at the base it is all based on simple cornerstones. Take a look. (Image is Google's New Logo 2015). Some of my clients are getting calls several times a week: “Update your free Google Listing…” It’s really frustrating for them because they have no idea if there is a real issue with their online listing with Google - they are simply running their business. Google is NOT Calling you! Especially with robo calls at all hours from blocked numbers! Google does not cold call customers. Easy steps to add an Administrator to Facebook - Watch this quick 90 Second Video! It's that EASY!!! Yes. We offer 3 options. One a simple forward with a business email we create at the business URL to your personal email address giving the appearance of a business email address at $5 month | our CMR Program at $8/month/email or a Google Business Email Program all of which come will require a set up fee based on the time it takes to set up at your JASPER rate of $59/hour. TYPICALLY NO. Here YES. We buy them for you and put them on auto-renewal. You pay us to do that for you. However, we are not the norm in the industry and it depends on your website provider. Most will charge you a large fee for the URL and / or to transfer it to you if you want it. YOU DO WANT IT. a. You want to control it. b. You do NOT want someone else owning it. 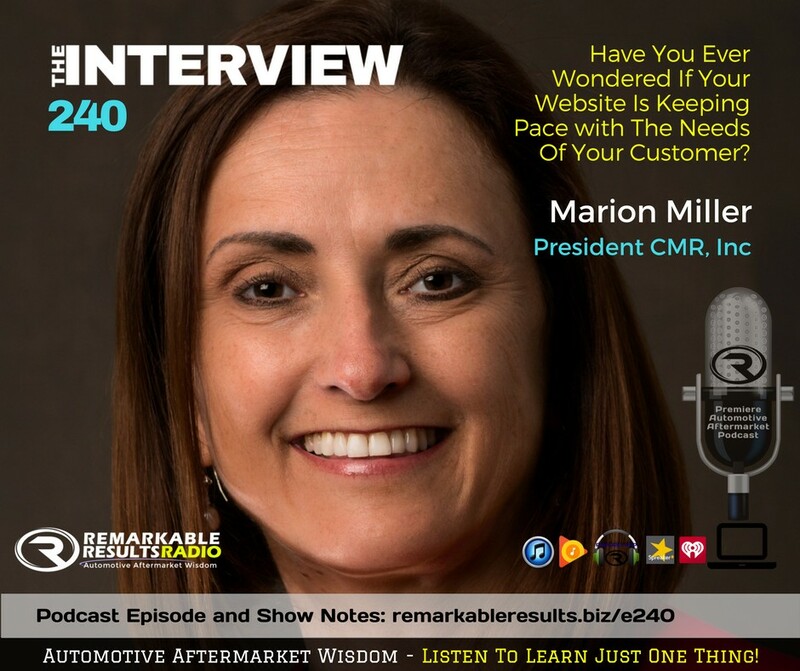 It’s no secret that having a website is crucial today—but simply having one is not enough anymore, says Marion Miller. What might have worked five or even 10 years ago won’t work today, she says, and shop owners need to recognize that. “The way to get people online now is to have more information, better information and the newest information,” she says. We believe in customer service. If we can't keep you based on that, then we don't deserve to and with 30 days notice you can leave at any time with a copy of your website and any URL addresses we have bought for you! It's that easy! We will do what we can to keep your business and meet your needs and have gone above and beyond the call of duty in many instances without the fear of losing a client but simply because we felt it needed to be done to help the client as you will read in our testimonials. Here it is all about you and customer service. How does it work if you leave? With the explosion of mobile search and local search it is no longer an option for you to put off getting your business listed online the right way. Simply put business has changed, marketing has changed, and your customer base has changed providing opportunity as well as challenges. Different and new can be intimidating, however, it really is EASIER - FASTER - LESS EXPENSIVE than traditional marketing has been which are all positive factors. Quite simply if you are not online, your customers are not finding you as that is where they are looking. Starting February 2017, Verizon began to shift away from focusing on email service for it's customers. Focusing on providing their other services (tv, phone, and internet) in a stronger capacity, Verizon has partnered with AOL in order to continue providing email services while focusing resources on other pursuits. This change is coming free of charge to all current customers with a current verizon.net email address that is being moved to AOL. The email change will not affect any other Verizon services. If you currently have a verizon.net email address, you'll still have the option to keep that same address going forward, alternatively adopting the AOL address. As of 2015, an estimated 60% of the population worldwide access Internet via mobile phones and other handheld devices. The sale of PCs has been on a decline and will continue to dip lower every year. The sale of iPads, smart phones and tablet PC’s are on the up. Internet browsing is no longer restricted to a desktop, laptop and a computer screen. This fundamental shift requires a change from conventional web design techniques. Google changed it's algorithm publicly for the first time stating that responsive websites would receive priority ranking over non-responsive sites in handheld and smart device searches. 5 Minutes! You want to add an administrator to your Business Facebook page but you are having issues! It's a common problem and frustrating but easy to fix. 2. Make changes to graphics if you need them. 3. Enhance the listing if we need to. It is our distinct honor to be Recommended by JASPER and we work every day to continue to earn their respect and that of our customers. Part of work is ensuring we help you with your coop. Annually you earn JASPER coop based on sales. Those funds can be used (January 1 - December 31st of the next year) for advertising reimbursement paid to you by check or credit on your account from JASPER upon receipt of the invoice. We send your invoices in on your behalf for you! - JASPER Website Program Approved for up to 100% Reimbursement for initial website design for any level of our website layouts which are a one-time cost and after which you own the website*. These we send in upon site launch. - JASPER Hosting-SMART List Program Approved for up to 50% Reimbursement (maximum annual $1,000). Monthly hosting clients we send in January and if you pay in every 6 months or annually we send those invoices in at that time. YES. If you own your URL or your website content then we will use it. There are some website design companies that copyright the content of your website so that you don't actually own any of the wording or the photos - only the logo if you have one in which case we certainly can not use that content. 1. Cancel your service after we get your site up and you like it. 3. They will send you an authorization code and transfer document which you can use to put the URL into your own account or you can send to us. I am very proud to announce that my team has received national recognition earning Top 10 Automotive Website 2015 by ASA's AutoInc Magazine on the criteria of being mobile-friendly, having a call to action, first impression and visual design, objective and purpose, consumer friendliness, technical usage, credibility and social media presence with www.menkesauto.com for Menke's Auto Repair of Newburgh, IN. The website and award was featured in their November / December issue. *article information below.